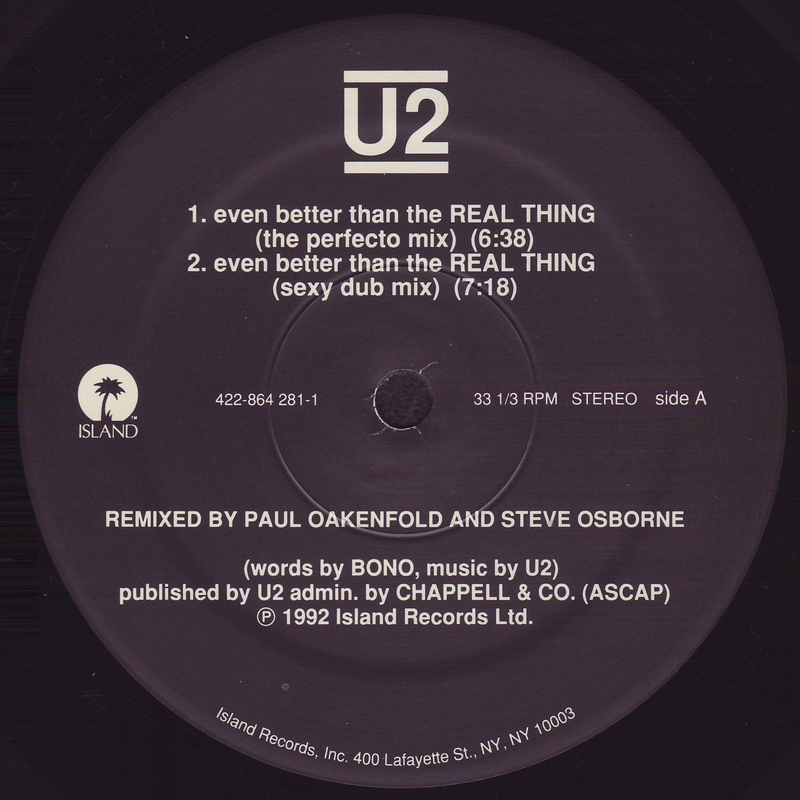 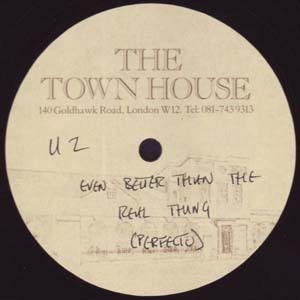 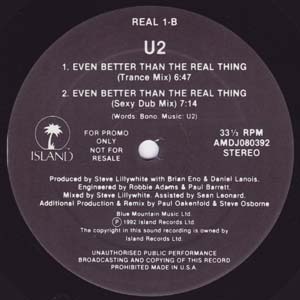 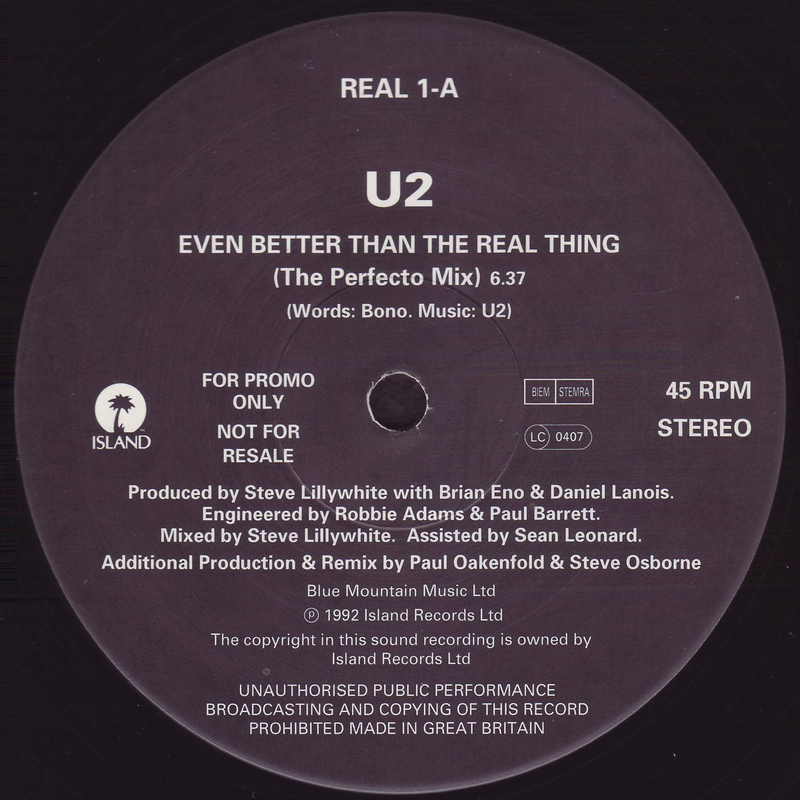 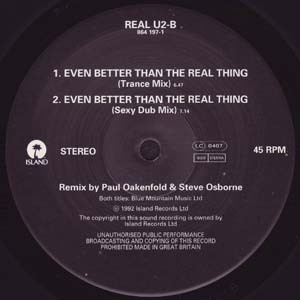 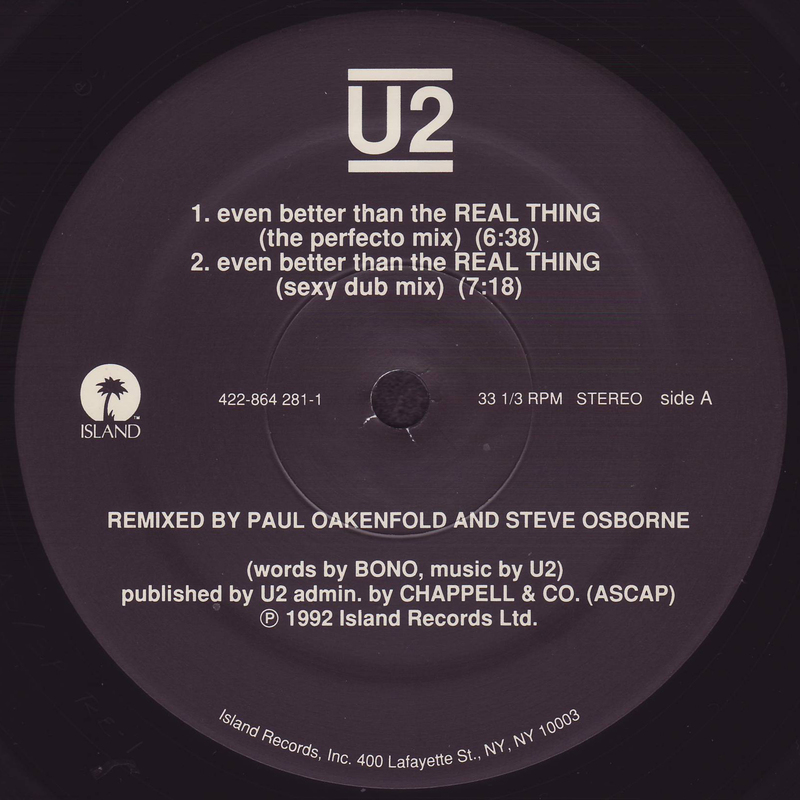 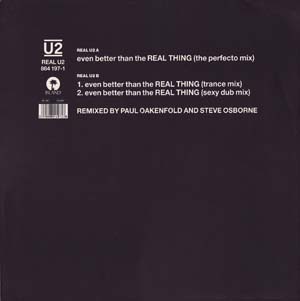 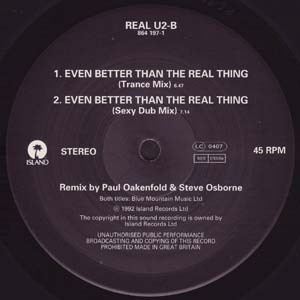 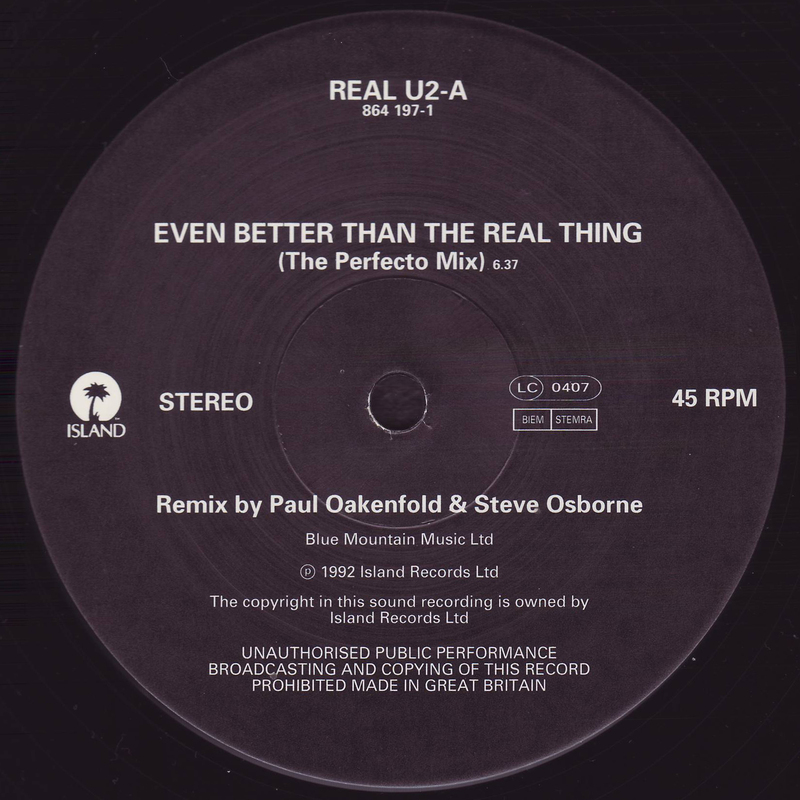 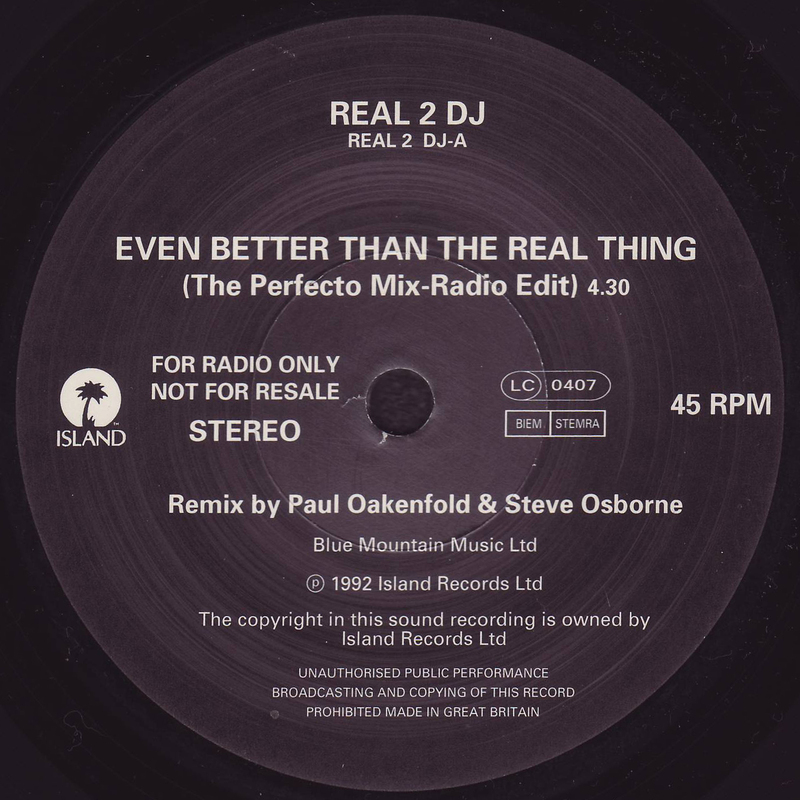 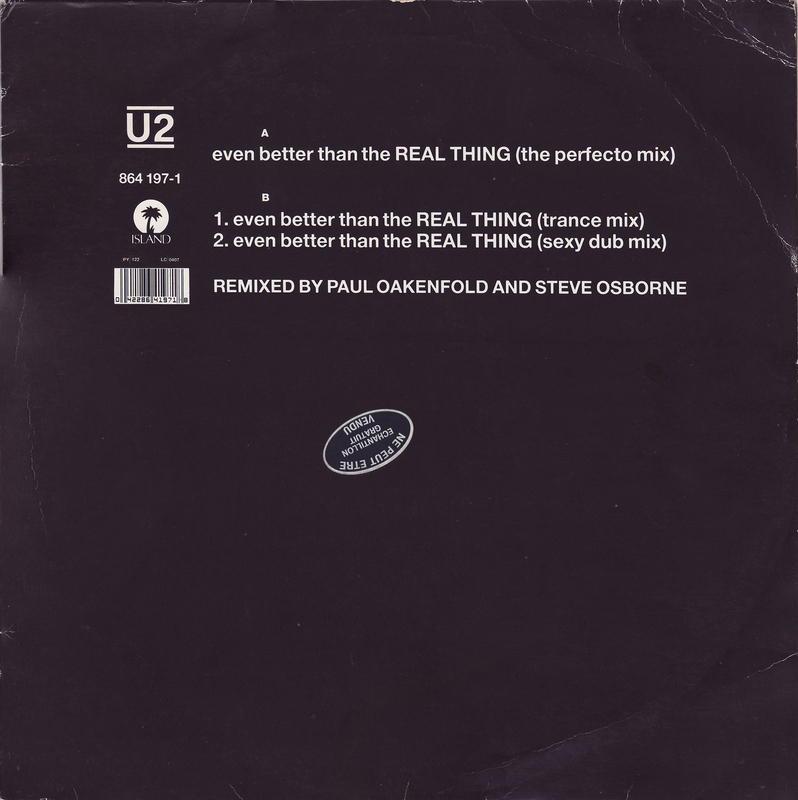 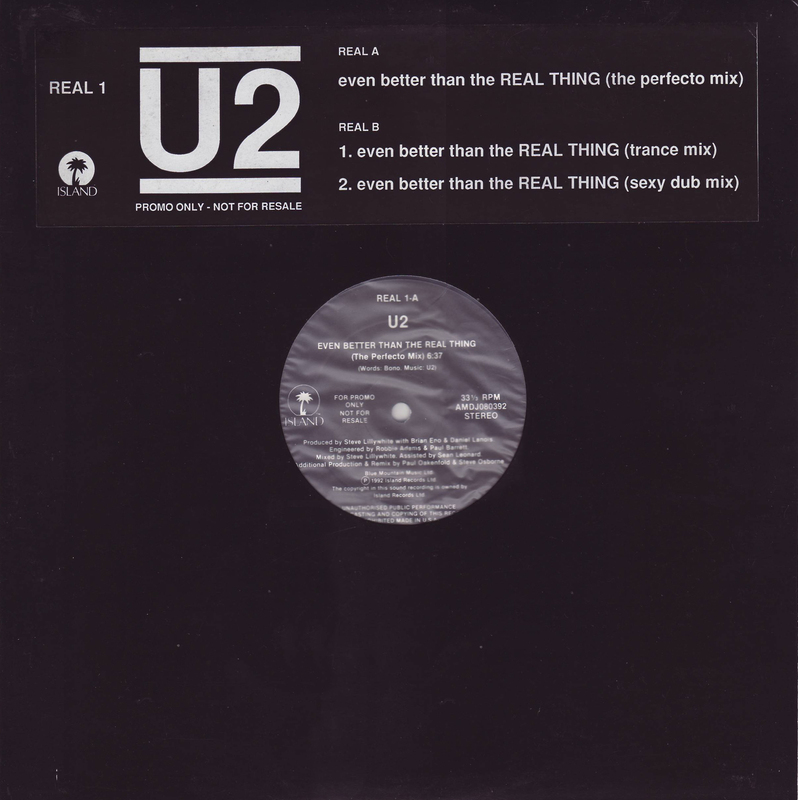 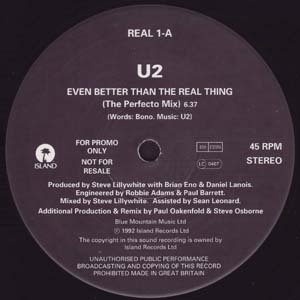 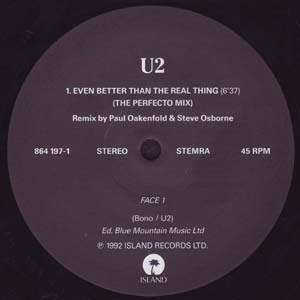 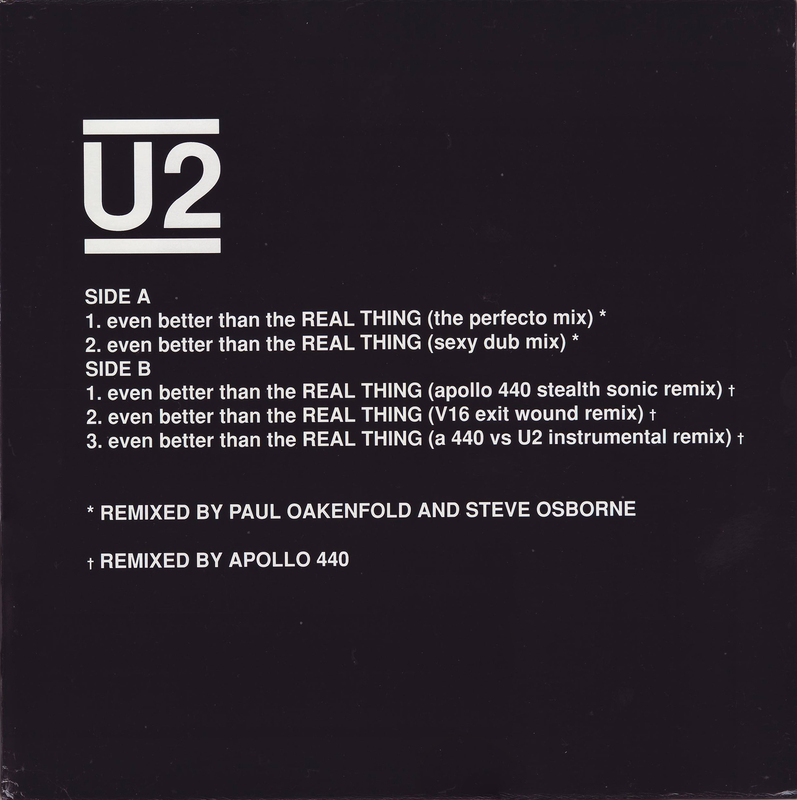 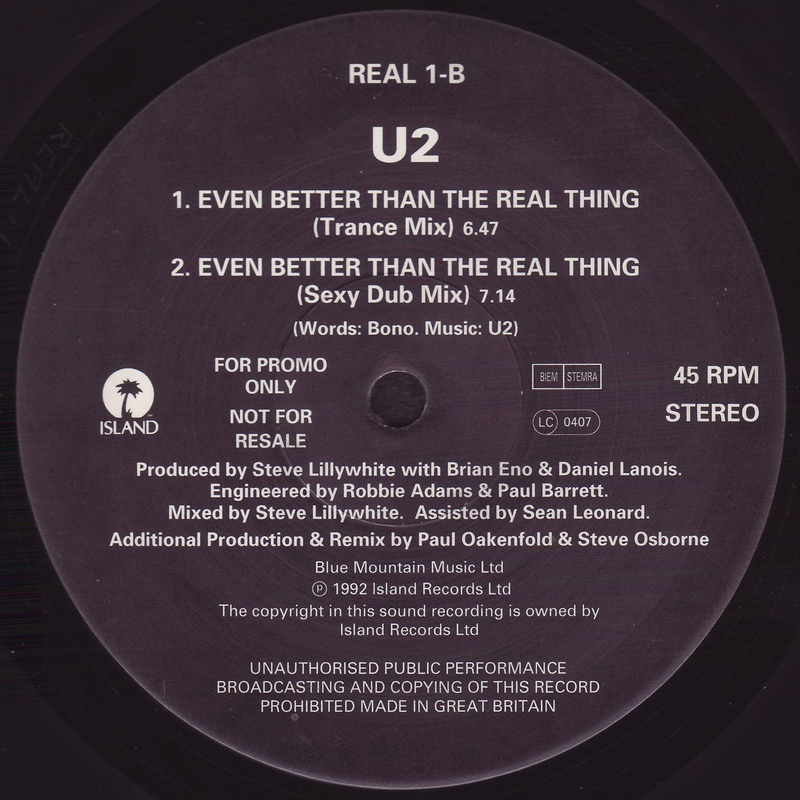 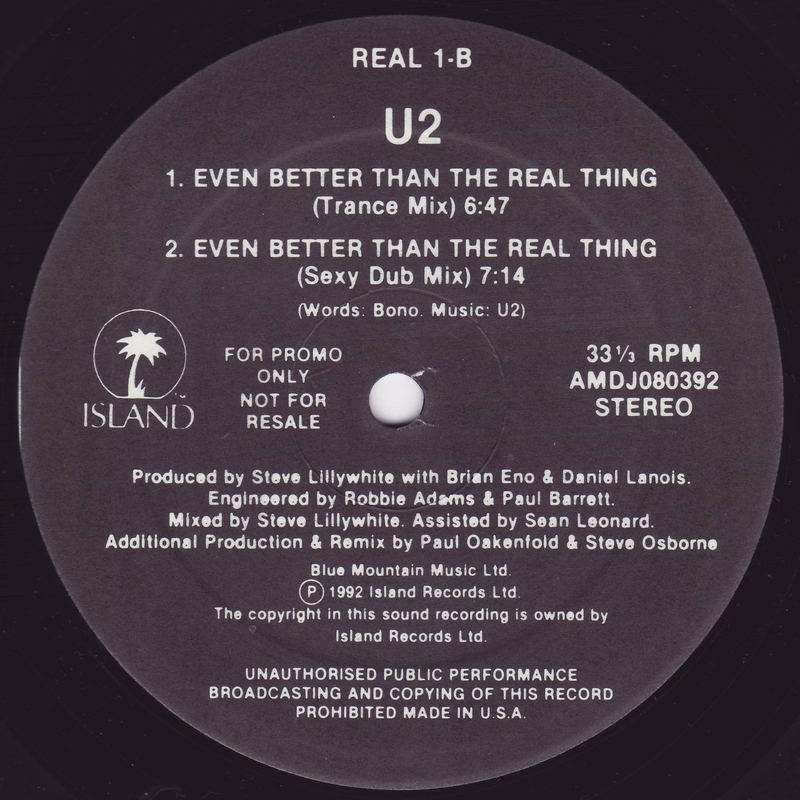 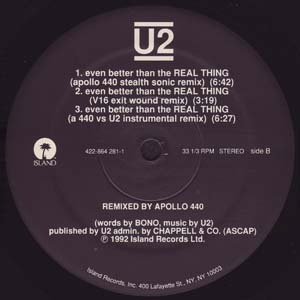 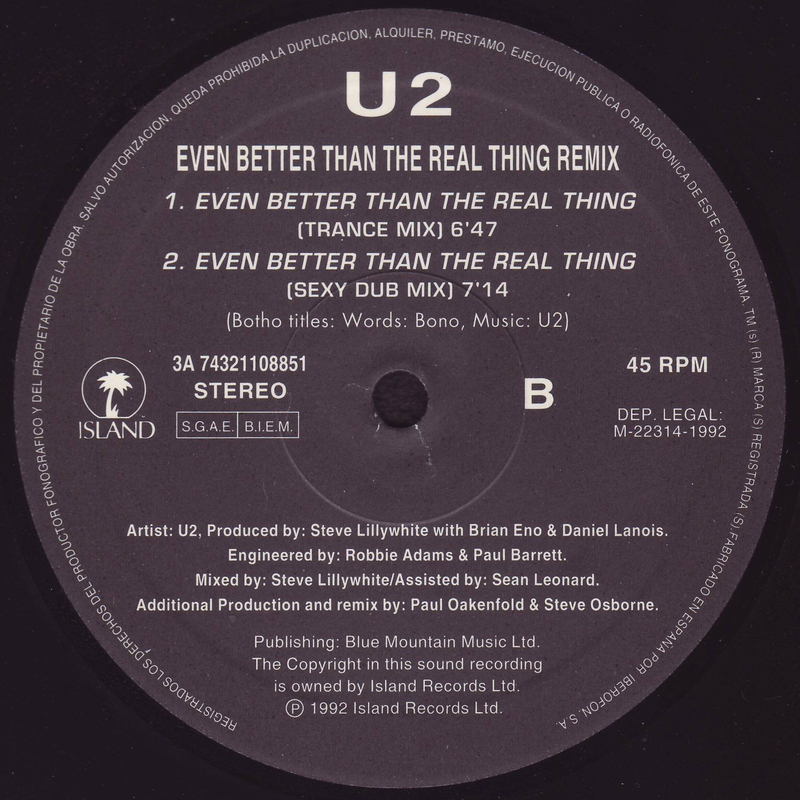 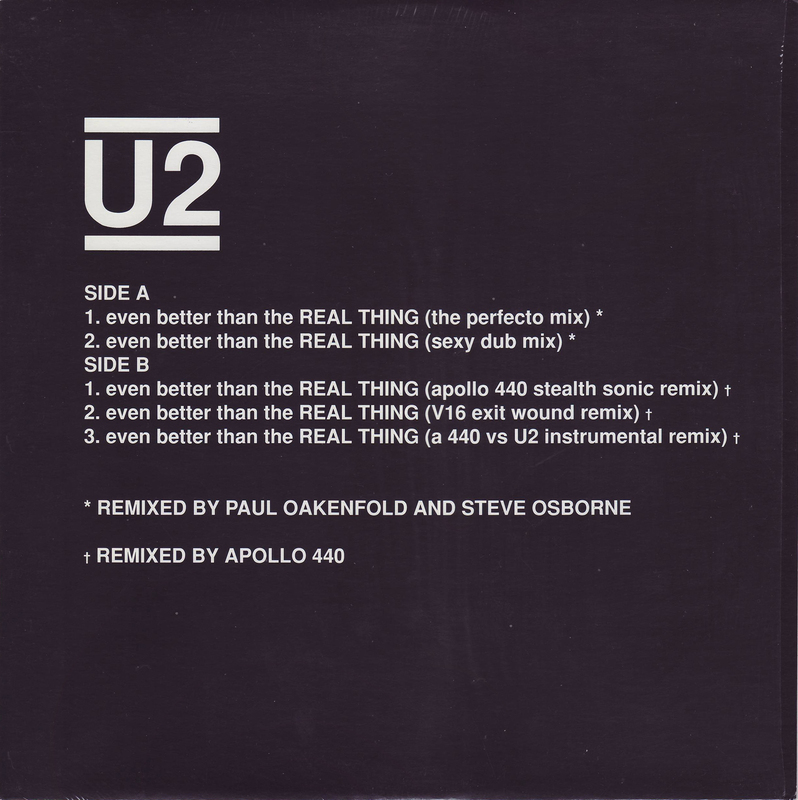 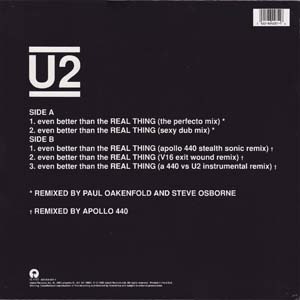 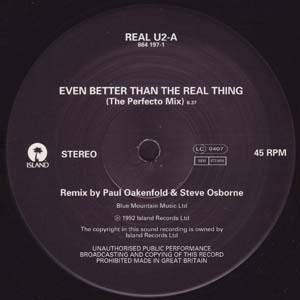 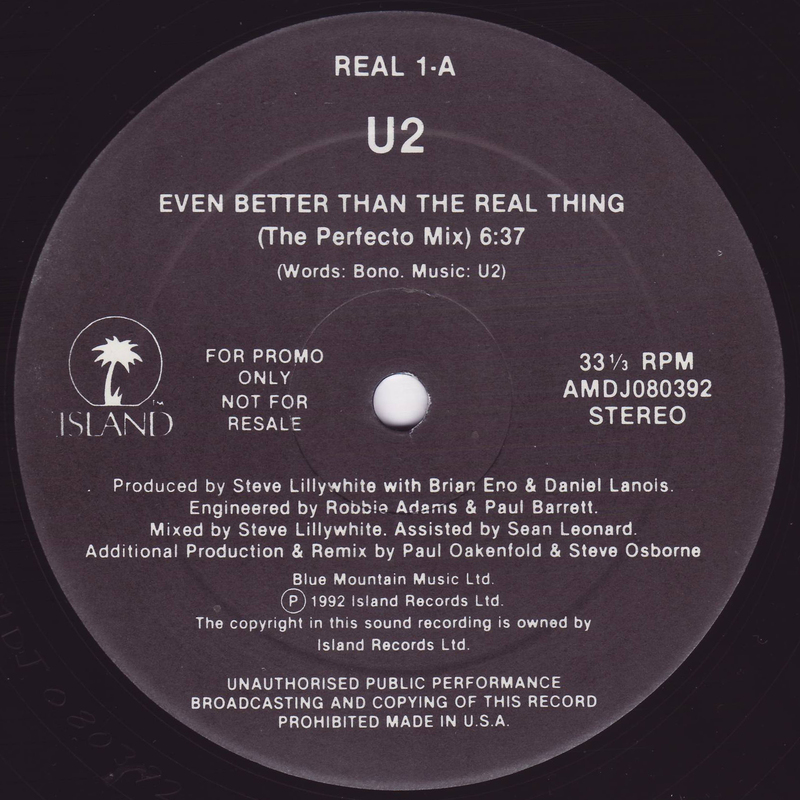 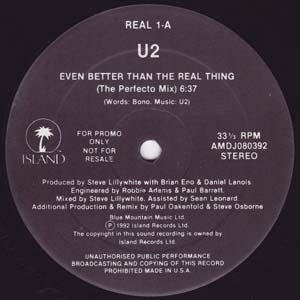 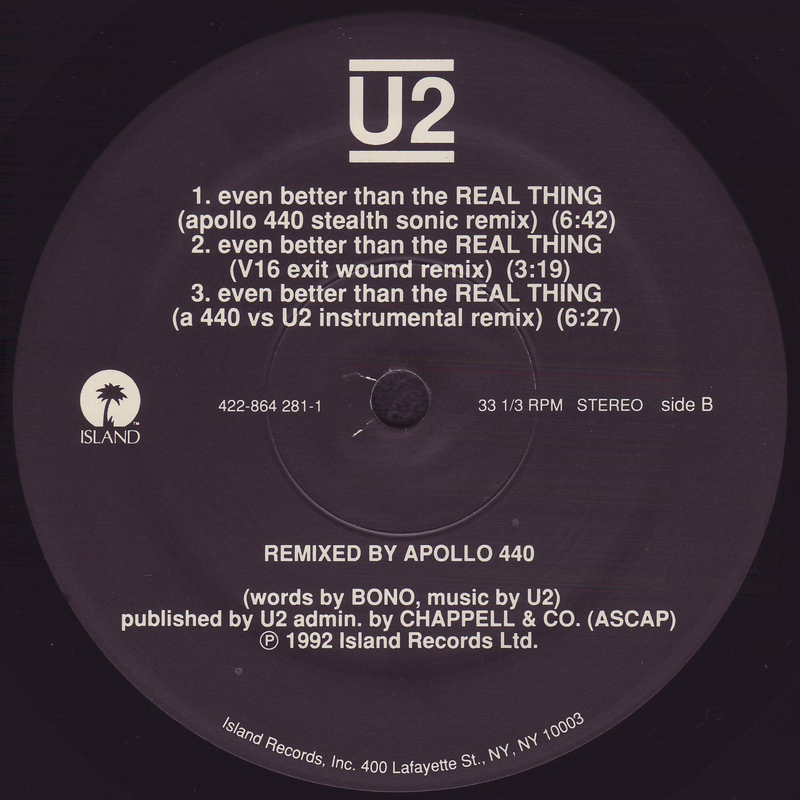 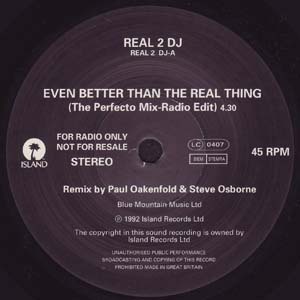 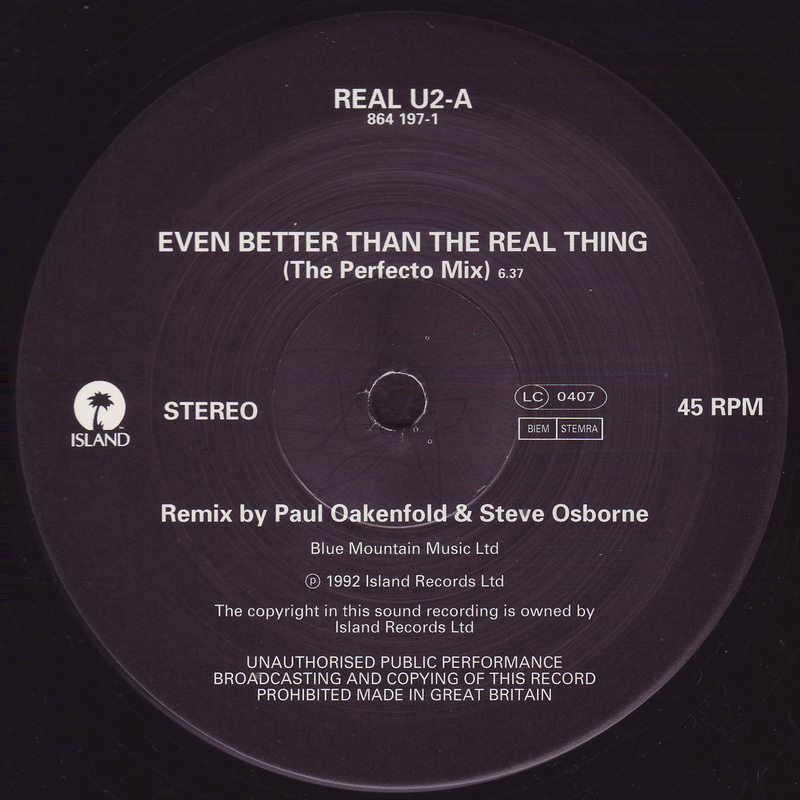 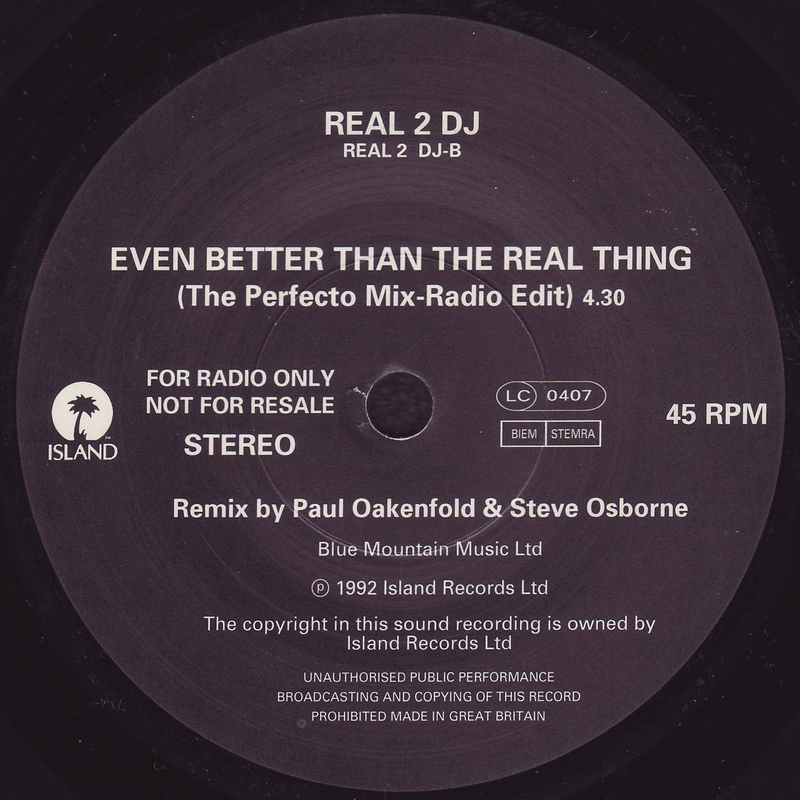 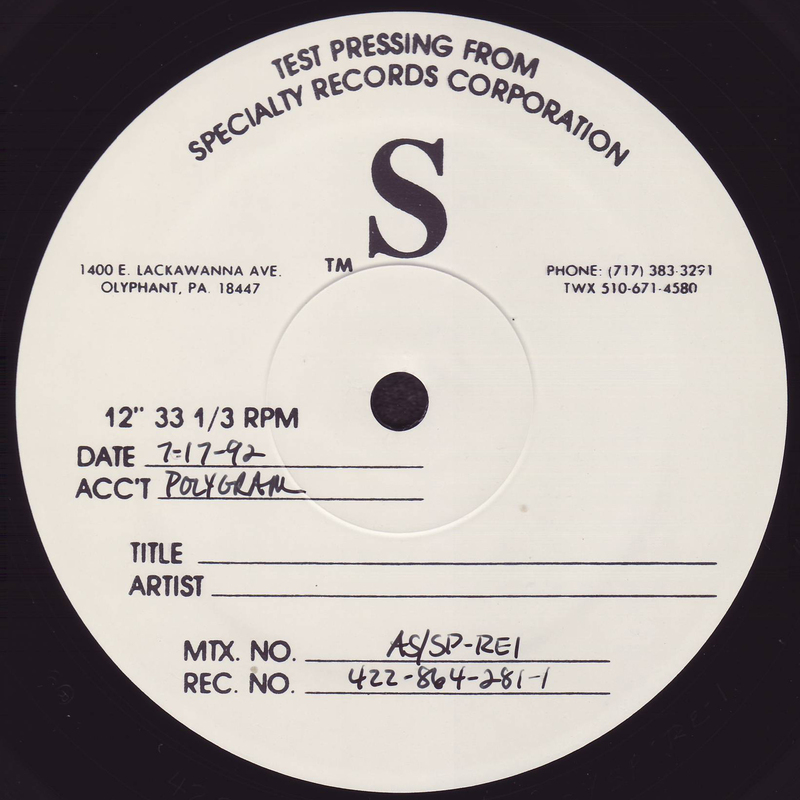 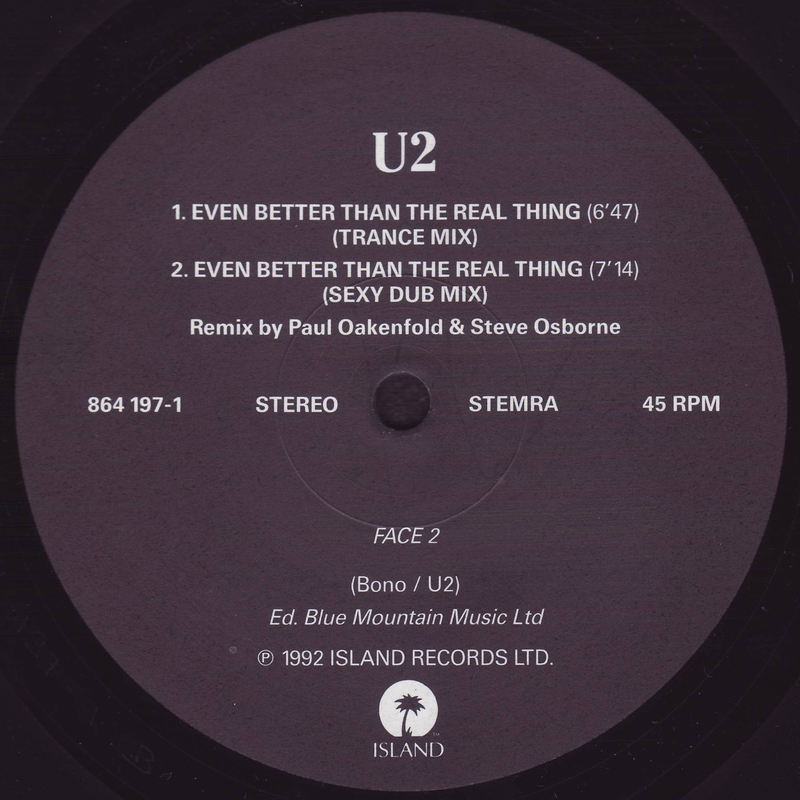 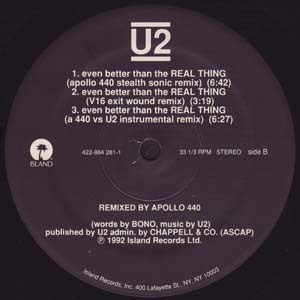 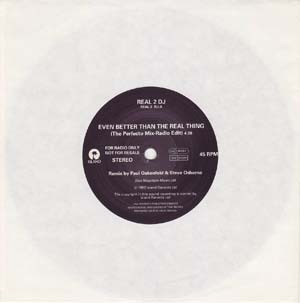 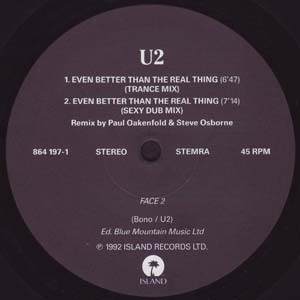 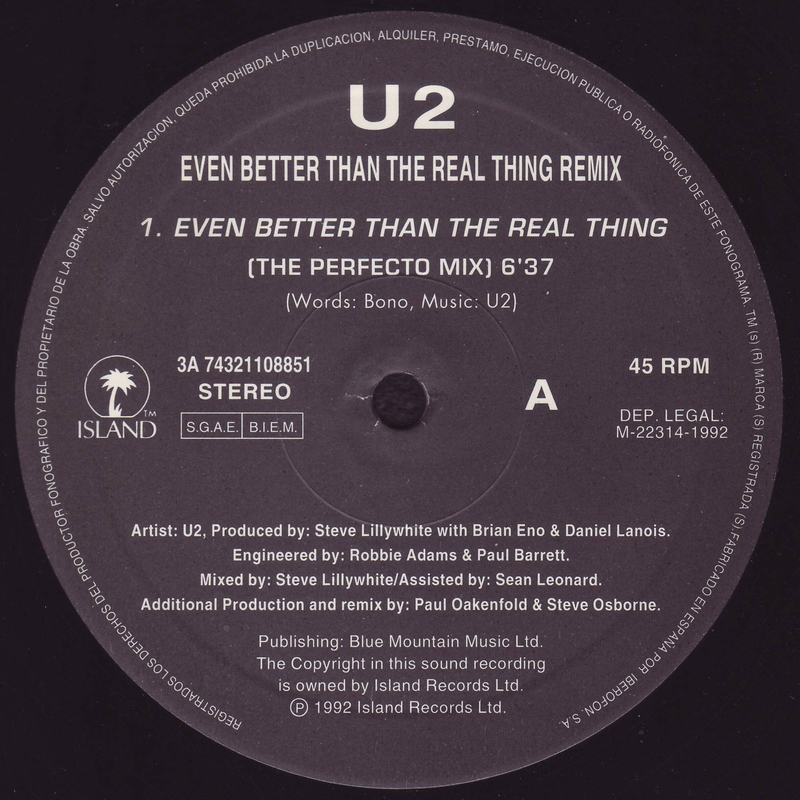 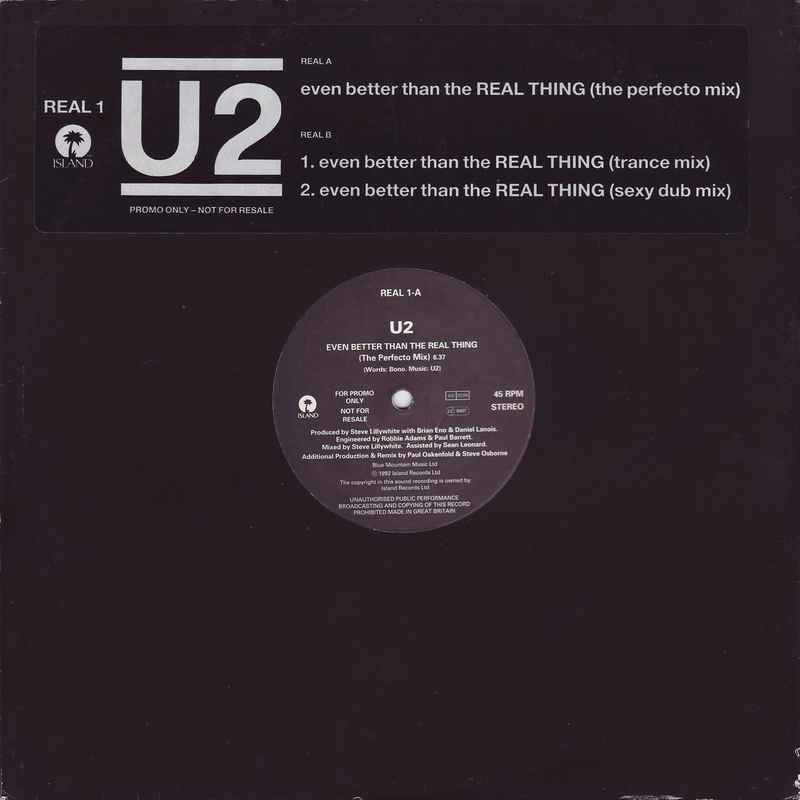 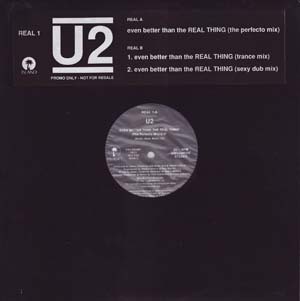 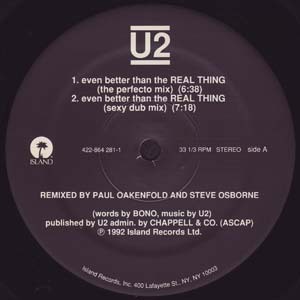 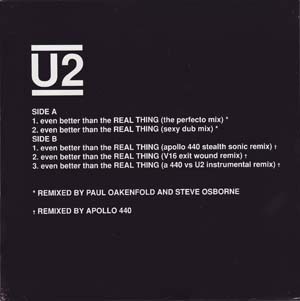 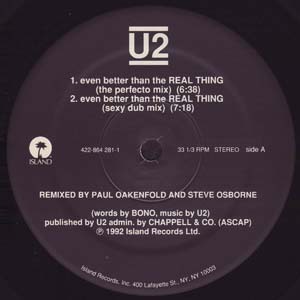 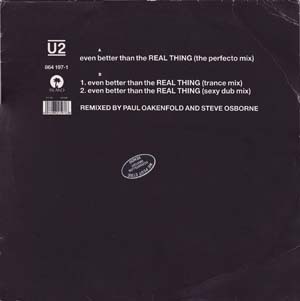 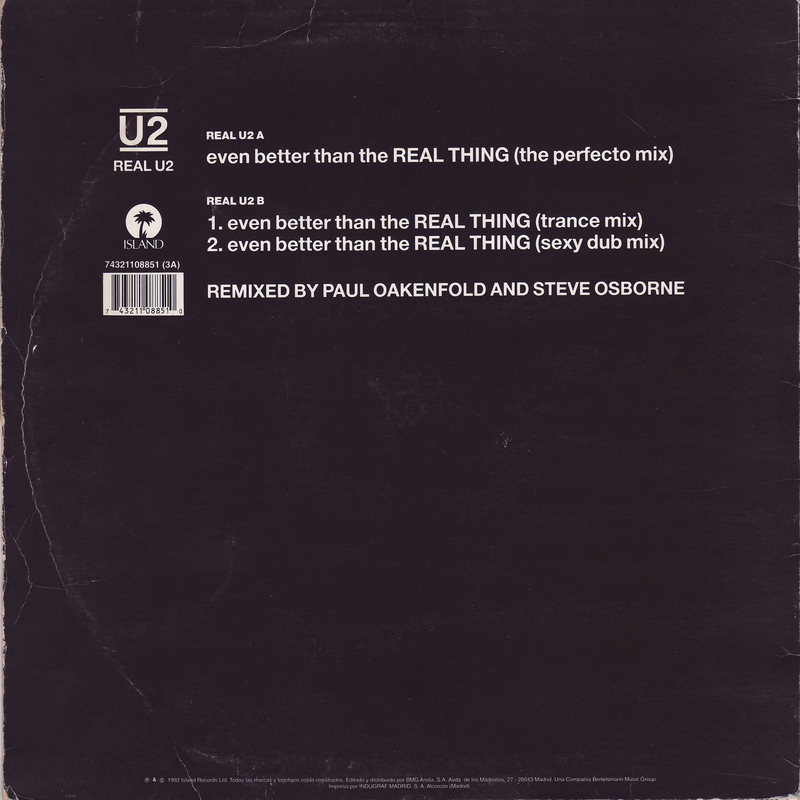 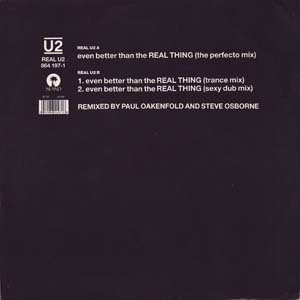 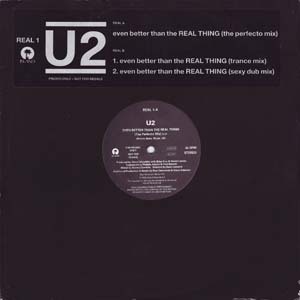 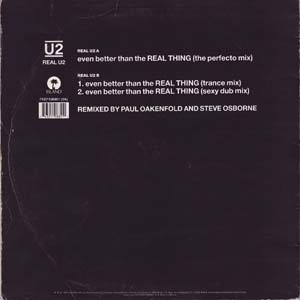 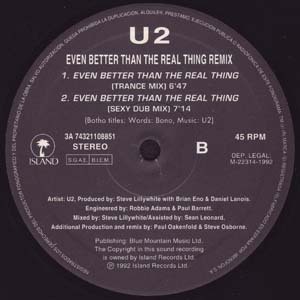 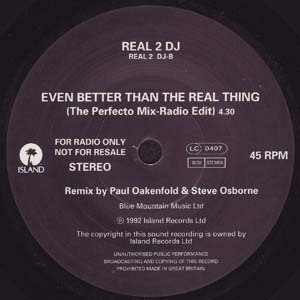 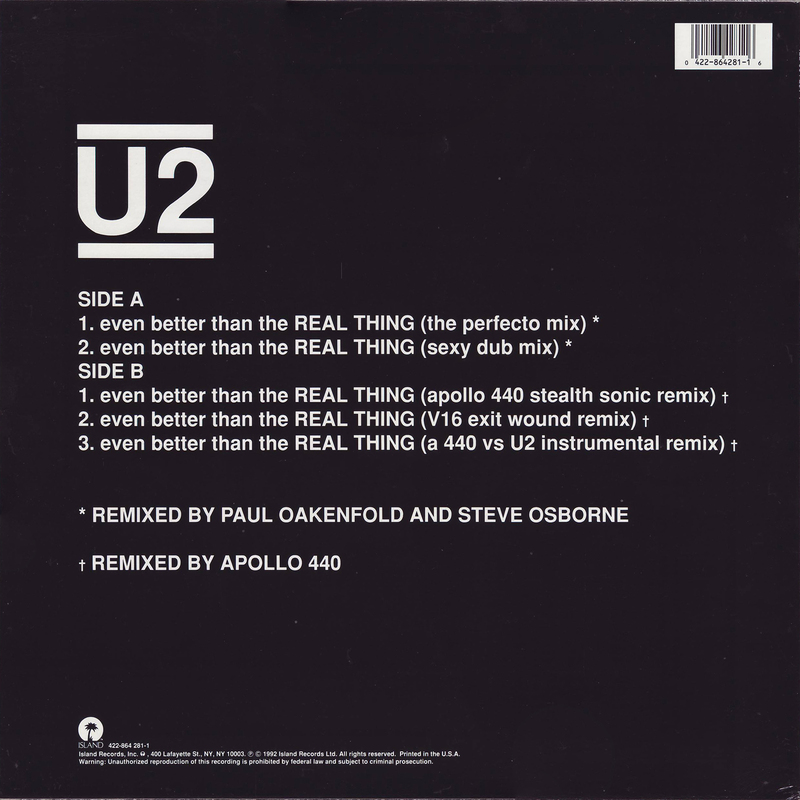 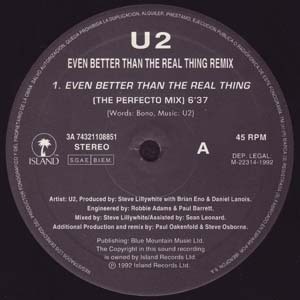 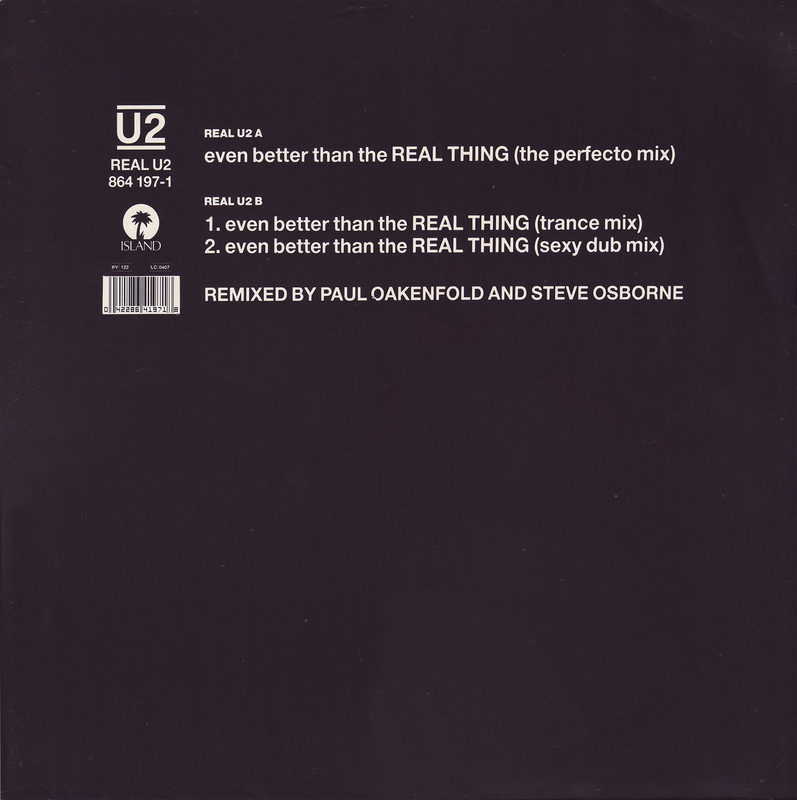 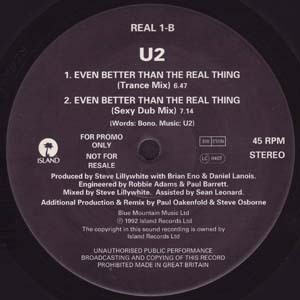 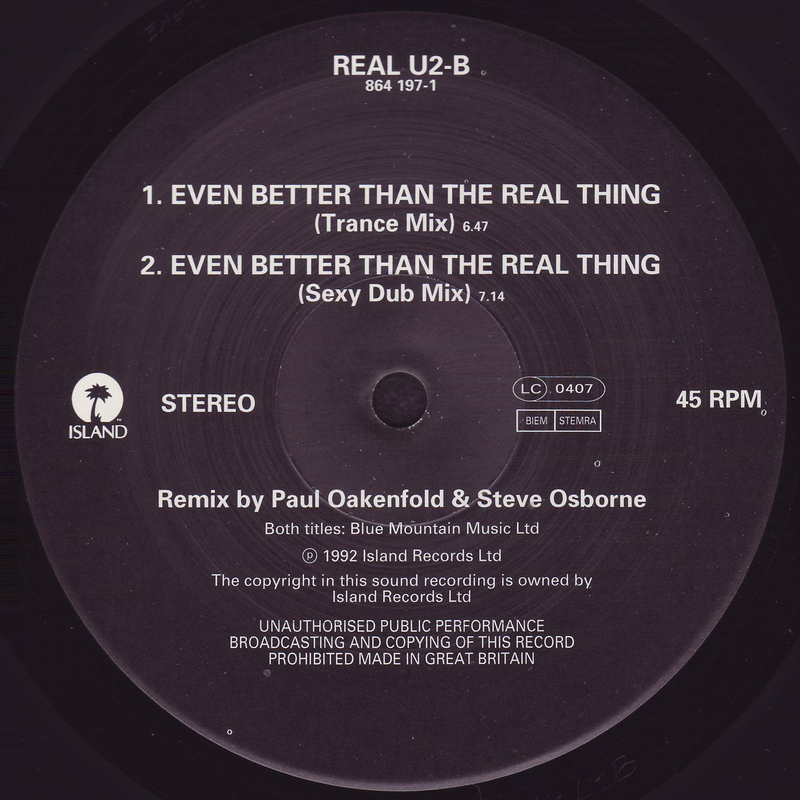 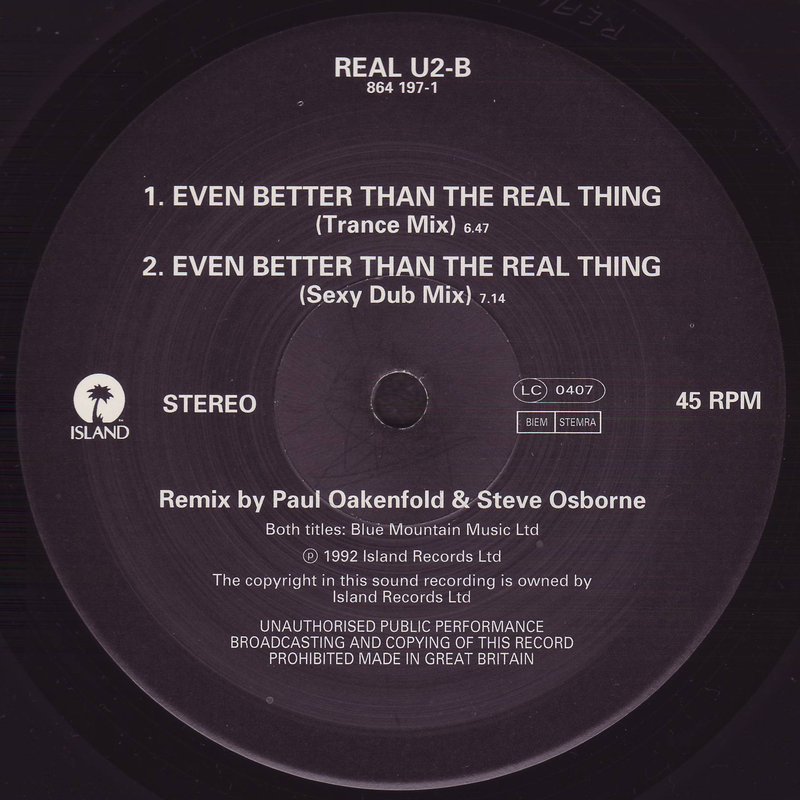 Even Better Than The Real Thing (Remixes) - 7"
Even Better Than The Real Thing (Remixes) - 12"
A-Matrix: "864 197 -1 A MPO"
B-Matrix: "864 197 -1 B MPO"
Front PS: With promo sticker. 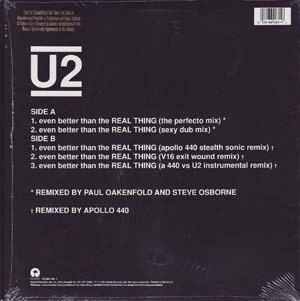 Back PS is plain black. 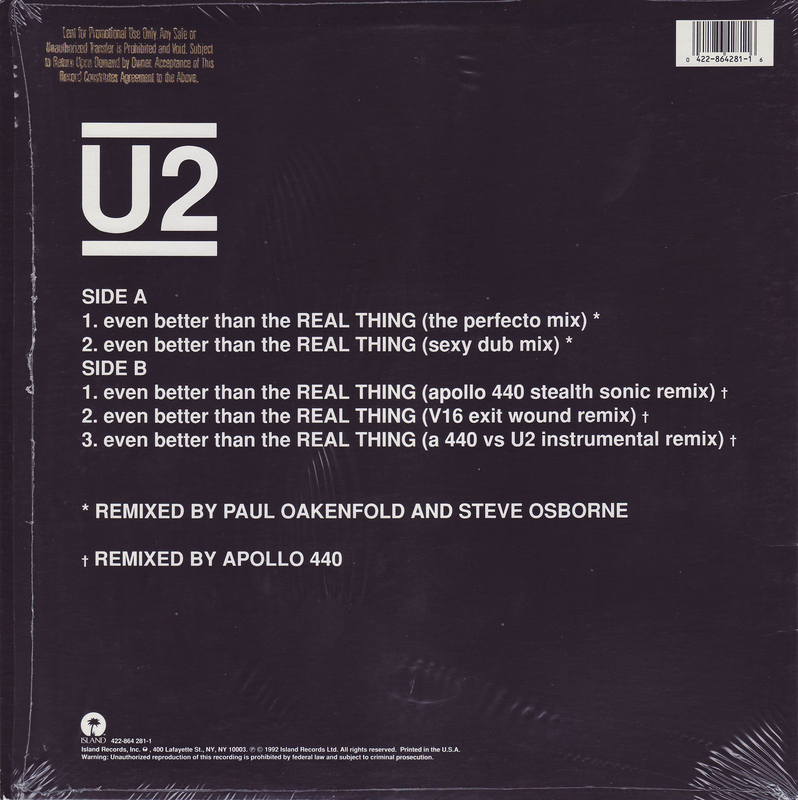 ​Back PS is plain black. 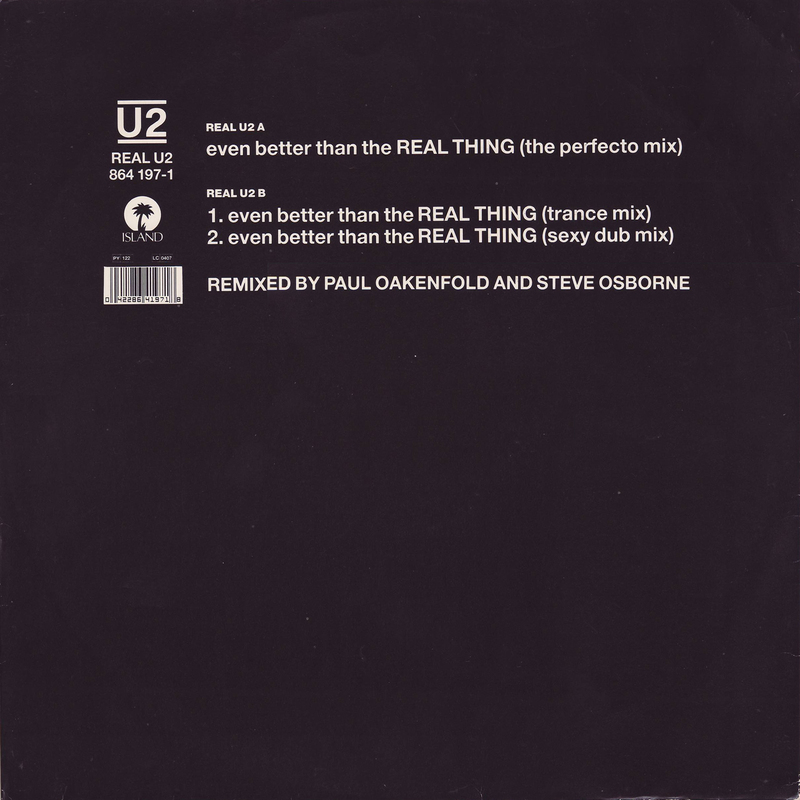 Front PS: Plain black die-cut sleeve with title sticker. 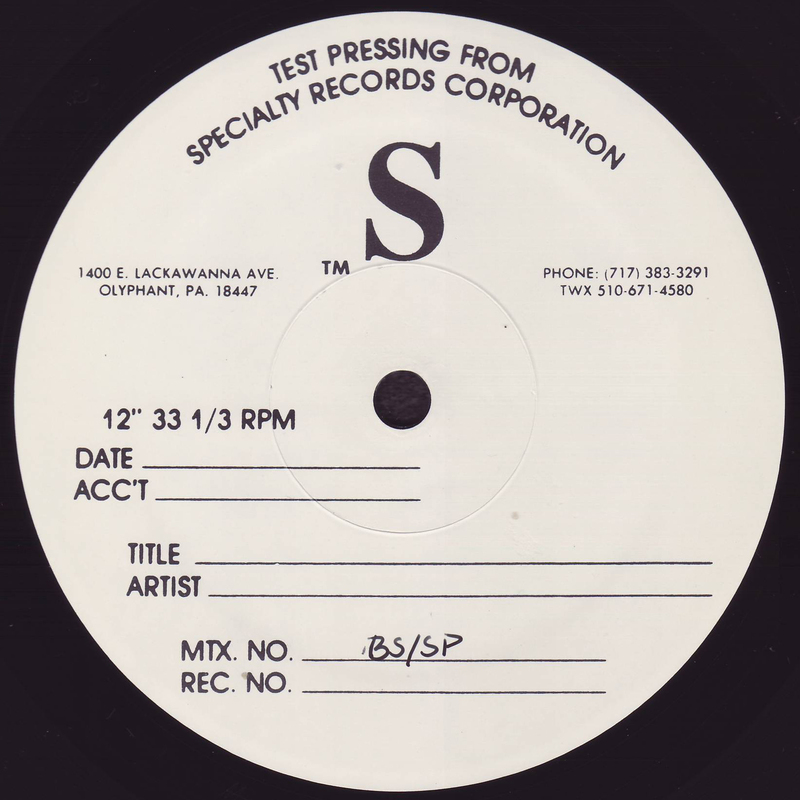 A-Matrix: "422-864-281-1 AS/SP RE-1 1-1"
Back PS: With gold promo stamp. 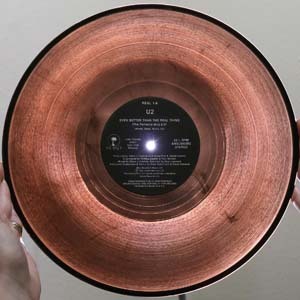 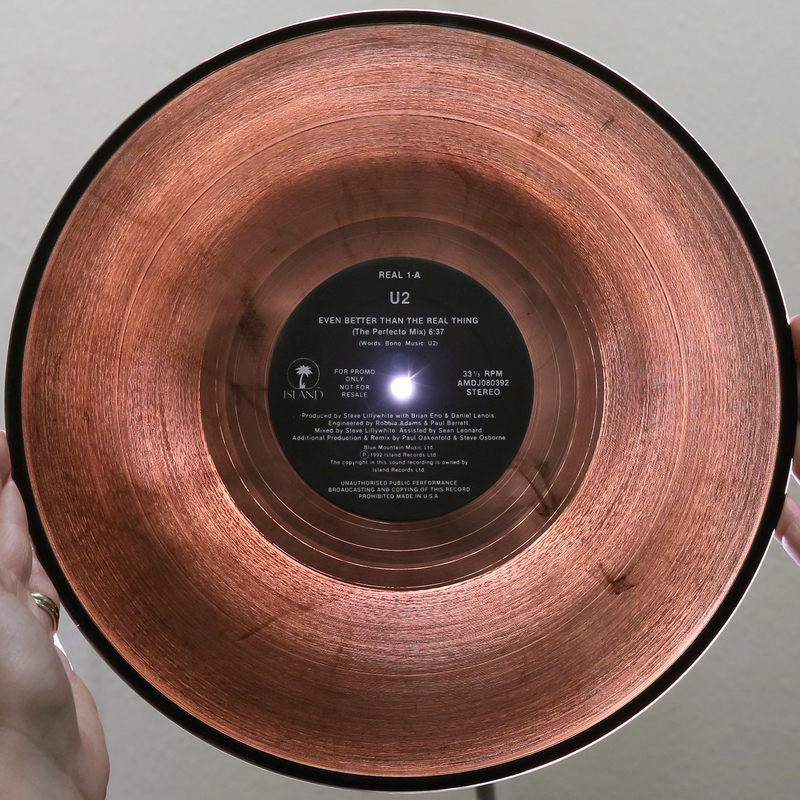 ​Brown vinyl with brown streaks when seen held to light.